Vision Australia — The Good Cause Co. Vision Australia “create equal opportunity so people who are blind or have low vision can get an education, get a job and be as independent as they choose” by offering accessible information, undertaking advocacy and offering personalised services. Note that for the purposes of financial reporting and legal compliance Vision Australia is part of a broader reporting group that includes Seeing Eye Dogs Australia, The Trustee For Vision Australia Trust, Vision Australia Foundation, Vision Australia Limited. This evaluation is for Vision Australia only and the results may or may not be consistent with other organisations within the reporting group. Vision Australia want to support people who are blind or have low vision so that those people can live the life they choose. Vision Australia’s internal research estimates there are 384,000 Australians that are blind or that have low vision and this number is growing faster than Australia’s population. Accessible information: provide access to information, faster, and in the client’s format of choice. Advocacy: advocate for social reform, particularly the removal of barriers to participation in education and employment. Personalised services: provide professional support and training for clients and their family and close networks. Service streams are designed to meet the needs of specific life stages: older adults, adults and children. They also provide referral links to social opportunities, community programmes, recreation and peer support outside the remit of their core work. Should I donate to Vision Australia? Vision Australia are a legally registered charity with deductible gift recipient status. They are trustworthy. They describe how they are managed, by whom they are managed, are transparent with their finances and present a detailed policy on how they manage conflicts of interests. The also show signs they are effective. They present a clear strategy, highlight some of their results of their programs and indicate that they systematically evaluate the performance of their programs. Notably, they have demonstrated the importance of their beneficiaries in decision-making by instigating the “Client Reference Group” in advising the board. However, we need to see more in order to have complete confidence in Vision Australia. We were unable to identify any copies of evaluations that show how Vision Australia are monitoring the quality of service delivery. In addition, the cost of delivering each program/service area was not clear. This information is necessary to have a complete understanding of the charity’s key priority areas. After assessing both their strengths and weaknesses, our recommendation for Vision Australia is neutral. They clearly demonstrate they are trustworthy and show signs that they might be effective, but we need further assurances before being able to recommend them with confidence. a breakdown of the cost to deliver each program area. We have looked into the finances, operations and results of Vision Australia and present our evaluation in a report that you can download now. 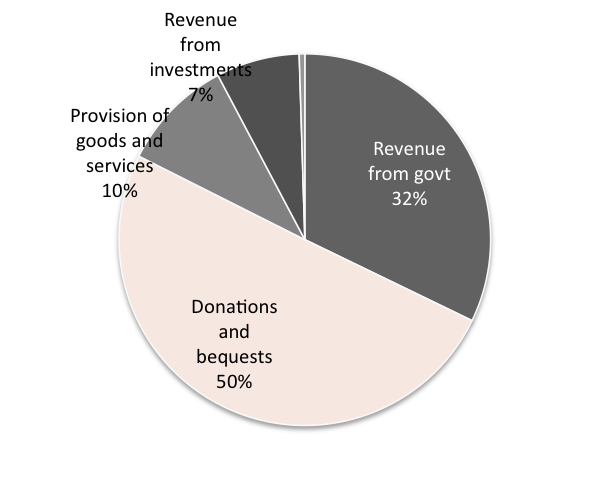 This evaluation shows you how your donation is spent, who is running the organisation and if there are any potential conflicts of interest. It also looks into whether the charity can demonstrate they are delivering meaningful results. Finally, it contains our recommendation on if you should donate to them and why. Download our complete evaluation of Vision Australia below to find out if they're the charity for you. Find out whether Vision Australia is the charity for you. In this evaluation we describe what this charity does and why, what you should know about them, how your money is spent, who is running the organisation and whether they deliver results. Last of all, we recommend whether you should donate to them based on the findings of our analysis.